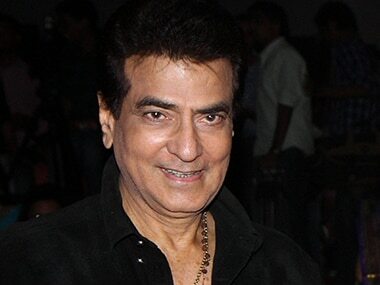 Mumbai: Yesteryear superstar Jeetendra says that his life is not worth being converted into a biography since it is very simple and lacks "masala". "My life is very simple, it is not worth being written into a biography, for that 'masala' is required," said Jeetendra at an event here. Legends of the industry like Dilip Kumar and Dev Anand have come with their autobiographies, and recently, superstar-turned-politician Shatrughan Sinha has unveiled his biography "Anything But Khamosh" written by Bharathi S Pradhan. Jeetendra was present at a musical event organized by IMC Ladies Wing to celebrate Women's Day, which falls on March 8, on Wednesday. Renowned singer Anuradha Paudwal, and Maharashtra Chief Minister Devendra Fadnavis's wife Amruta, who has recently sung for the Priyanka Chopra-starrer Jai Gangaajal were also present to honour women entrepreneurs. On International Women's Day, he said: "I think everyday is a women's day in my home.. there are two big women, my wife and my daughter (Shobha and Ekta Kapoor), they have done a good job in their life, so when I look at them, it is women's day for me." Ekta and Shobha Kapoor have established their footprint as producers in the television and film industry.